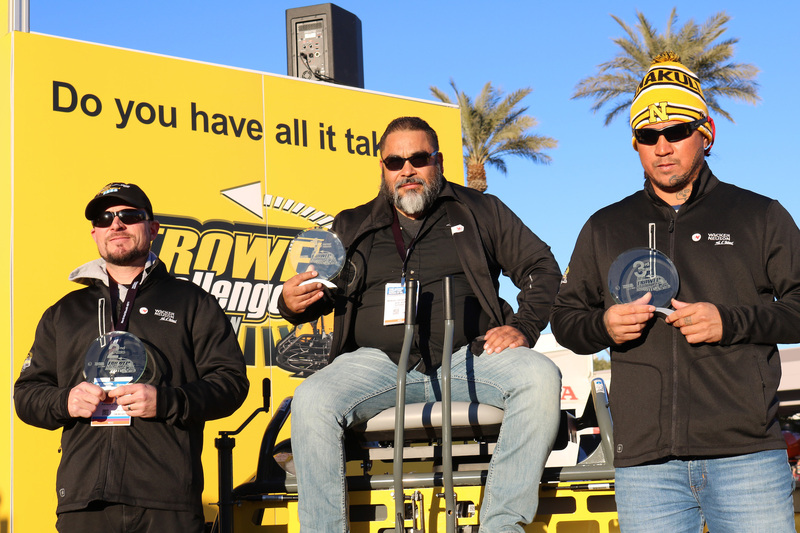 Manuel Vasquez Flores won the 2019 Wacker Neuson Trowel Challenge held during World of Concrete. Over 100 operators from around the world competed for the fastest time as they maneuvered through turns of a 1,750-square-foot course. Vasquez, from ACE Avant in Archdale, North Carolina, won a Wacker Neuson 8-foot CRT48-37V ride-on trowel with a total time of 87.520 seconds. The final competition run time was added to the participants’ qualifying time to determine the fastest time on the final day of competition. Each time a competitor bumped a cone or ran into a course, a one second penalty was added to the time. The competition was tight with 0.377 second separating first and second place, Wacker Neuson said, and only 0.57 second separating first and third. Each winner took home a crystal trophy. Second place went to Chris Thorpe, George J. Shaw Construction, Kansas City, Missouri, with a time of 87.897 seconds, and third to Akeo Cuban, Swinerton Builders, Honolulu, with a time of 88.098 seconds.